You’re cruising along to your favourite tunes when all of a sudden a rock hits your windshield. Oh no! This kind of thing happens relatively frequently during the spring thaw, but that doesn’t make it any less frustrating! While the impact may just leave a tiny crack that seems harmless at first, it can start to grow—and lead to more dangerous consequences than you might think. Here’s what to do if this happens to you! Is the crack smaller than a dollar coin? Is it outside the field of vision? Is it more than 3 cm from the edge of the windshield? Is it on the outside of the glass only? If you can answer yes to these questions, good news! It’s probably not too serious. You can get it repaired without replacing the entire windshield. To be sure, ask a qualified professional for advice. If your car insurance policy includes “comprehensive” or “all perils other than collision or upset” coverage, the damage to your window is covered. Note: Endorsement QEF 13C (Limitation under Protection 3 for vehicle glass) excludes some forms of damage to windows. Make sure you check with your insurance representative whether you have this endorsement. Next you should contact an auto glass repair and replacement shop. They’ll inspect the glass, make a recommendation, and contact your insurance company to initiate a claim and take care of everything. Repair: If a repair is possible, no deductible applies. Replacement: If the window needs to be replaced, you keep the same claim number but a deductible applies. It’s often preferable to repair your windshield, if possible. That way you keep the original windshield. The repair is simple and usually quick. But you should always have a crack looked at by an expert, who can tell if the windshield should be replaced instead. 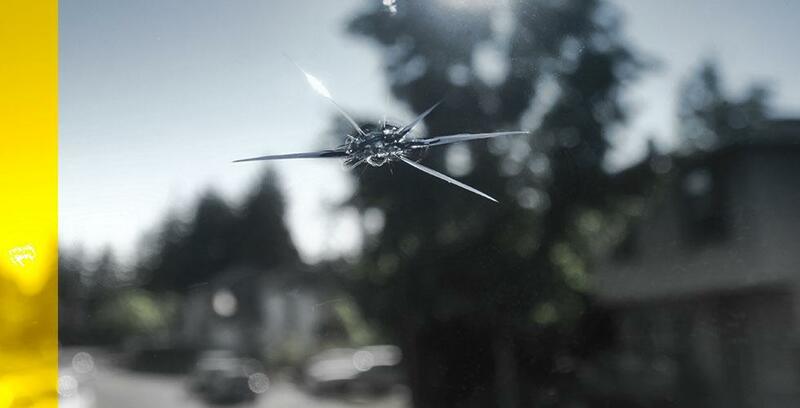 Now you know what to do if a rock or other object damages your windshield. Talk to a Promutuel Insurance representative for more information on the coverage available for this type of incident. And remember to stay alert and drive carefully!